Loved Barbara’s peach muffins. This is next! Barbara makes everything look and taste so good! This pie looks absolutely delectable! I was going to Pin it anyway onto my Pie Board! oh you know I follow you on twitter! I LOVE the pie! I love the mixed berry filling, it is so like one I make and love but…better! And super pretty in that pie dish! I’d love one. Gorgeous pie and plate! Awww thanks Natalie! So sweet. Please stop by often. Good luck! 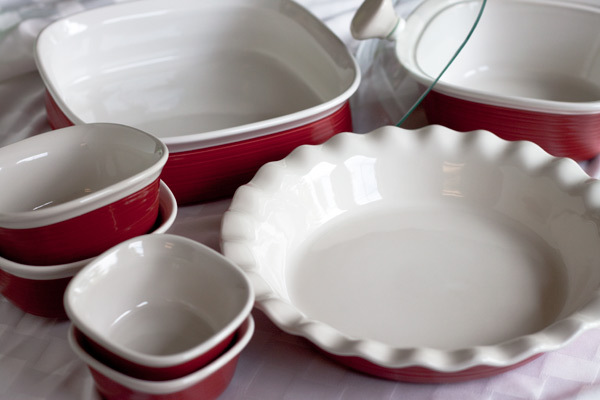 Thank you for the chance to win some lovely Corningware bakeware. 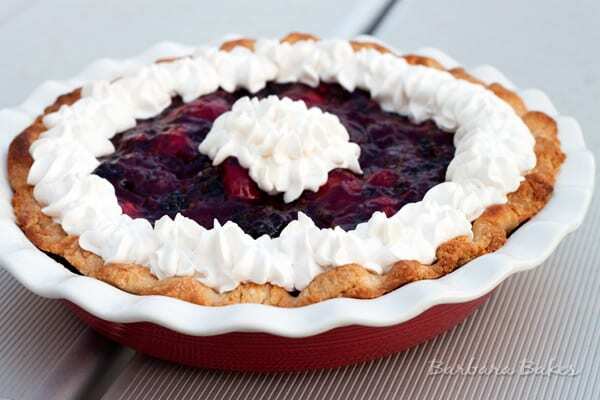 Your berry pie looks so lovely in that gorgeous red pie plate! Yum! I love pie plates with scalloped edges! It gives the pie a little something extra! I love Triple Berry Pie! It’s also my husband’s fav. fruit pie. I am definitely going to try this one. Thanks for the giveaway. This pie looks amazing!!! I can’t wait to have a go at making it! a beautiful end of summer pie Barbara. 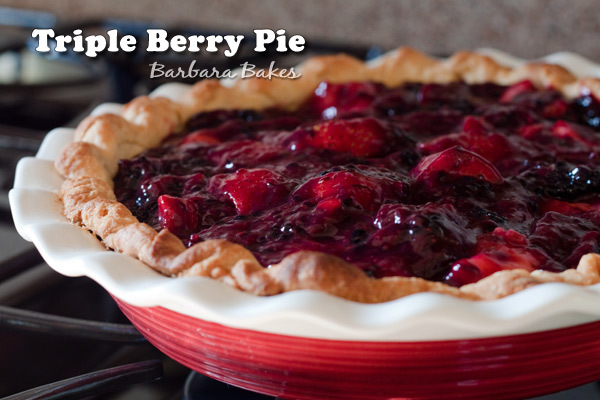 Love all the berry goodness and the red pie plate is very pretty!